L'oreal Paris Women of Worth Awards - Check it out!!!! - A Beauty Influencer''s View: The Best of Fashion, Makeup, Hair and More! L'oreal Paris Women of Worth Awards - Check it out!!!! NEW YORK, April 11, 2011 /PRNewswire/ -- L'Oreal Paris is thrilled to announce the opening of the 2011 Women of Worth nomination period. Now in its sixth year, the Women of Worth program is searching for inspiring women, selfless givers and outstanding achievers to be recognized for their hard work and dedication to charitable programs and volunteerism in their communities. The Women of Worth initiative is inspired by L'Oreal Paris' iconic brand philosophy, "Because You're Worth It." Each honoree should embody the spirit of the L'Oreal Paris brand through their commitment to their cause, their drive to create a change in the world and their beautiful spirit. "L'Oreal Paris is excited to celebrate its Women of Worth program for the sixth consecutive year. We look forward to discovering and honoring extraordinary and inspiring women who are making a difference in their communities through volunteerism," said L'Oreal Paris President Karen Fondu. Nominations for the Women of Worth program are open from today (April 11th) through June 30th at womenofworth.com. Nominate yourself, a friend, a family member or anyone you know who's making a difference by volunteering. Ten incredible honorees will be chosen for their significant contributions. Each honoree receives $10,000 for her charitable cause. One National Honoree will be chosen via a public online vote and will receive an additional $25,000 for her charity. All ten honorees will be recognized and the National Honoree will be announced at an awards ceremony and dinner hosted by Hearst Magazines and L'Oreal Paris in New York City. The L'Oreal Paris division of L'Oreal USA, Inc. is a total beauty care company that combines the latest technology with the highest in quality for the ultimate in luxury beauty at mass. The L'Oreal Paris brand encompasses the four major beauty categories -- haircolor, haircare, skincare and cosmetics -- and includes such well-known brands as Preference, Excellence, Feria and Healthy Look haircolor; Elnett Satin Hairspray, EverPure, EverStrong, EverSleek, VIVE Pro, Studio Line and L'Oreal Kids haircare; Youth Code, Revitalift, Age Perfect, Ideal Skin Genesis, Collagen, Sublime Bronze and Men's Expert skincare; and the Colour Riche, True Match, Infallible, Bare Naturale and Studio Secrets Professional cosmetics collections, along with a portfolio of mascara including Voluminous, Double Extend and Telescopic among many others. 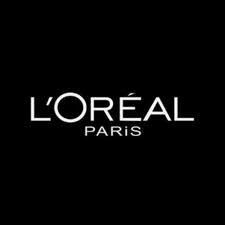 For more information on L'Oreal Paris and its brands, and to get comprehensive, personalized beauty information from the experts, visit www.lorealparis.com for access to unique content and dynamic interactive features, including the exclusive "Can I Help You" diagnostic tool.